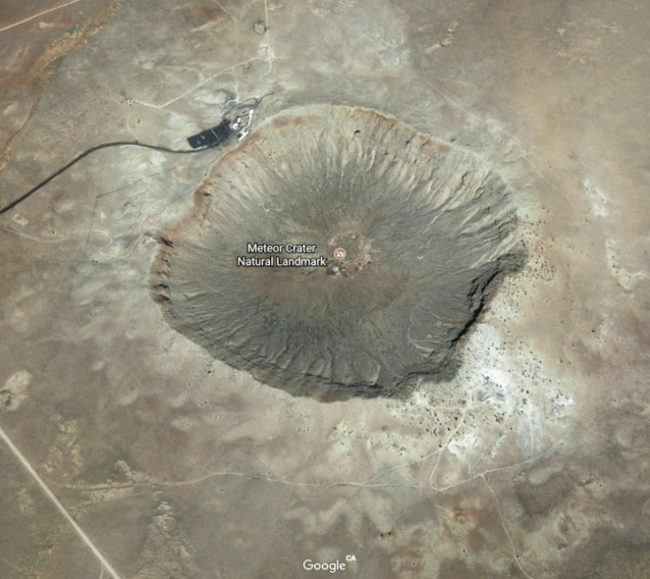 Google Earth is pretty incredible when you think about it. This amazing technology allows you to see every inch of the ENTIRE globe just by the click of a button. 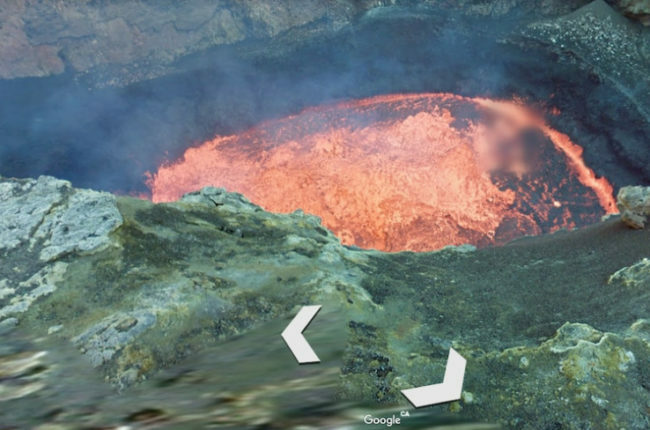 If someone told me this would be possible a couple of decades ago, I would have laughed and then also get a little paranoid, how are Google taking these pictures?! 2.) 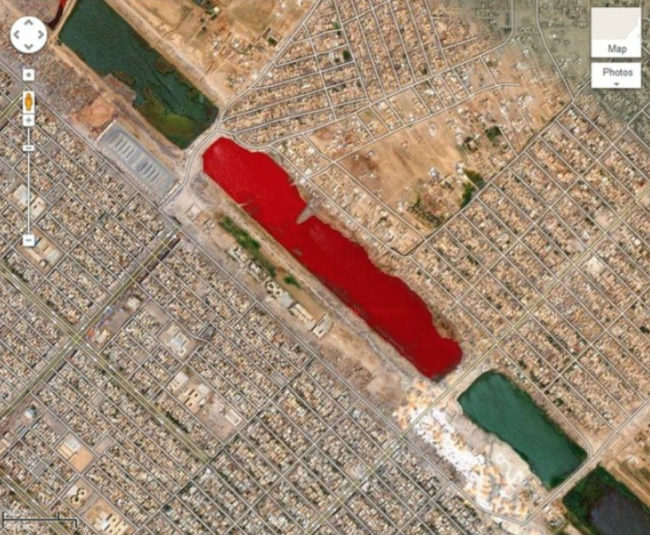 Why is this lake blood red? 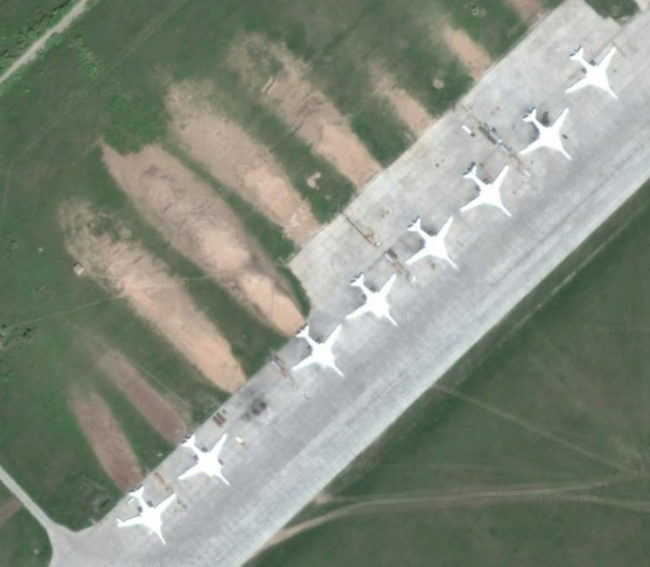 This is pretty chilling, to think that you’re just browsing Google Earth and a picture like this comes up, reminding you that things like this happen every day. Hopefully, everyone was okay. 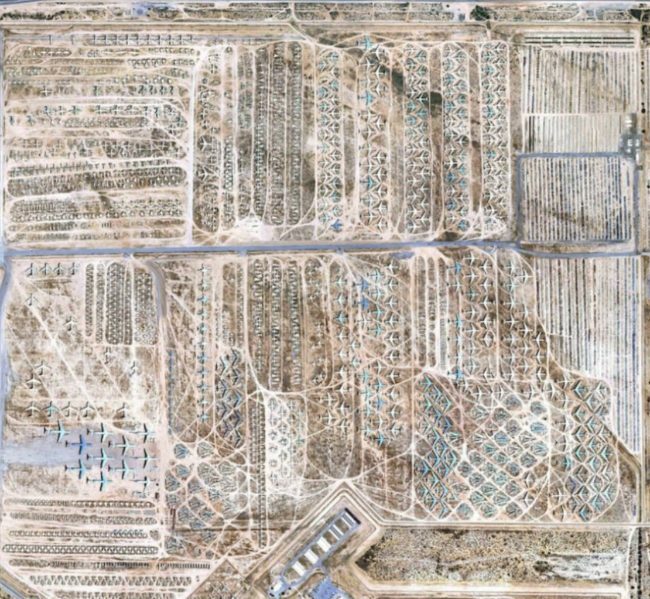 This image shows Davis-Monthan AFB in Arizona, it is a collection of abandoned aeroplanes that have no longer be in use since the end of WWII. This looks like such a cool place to walk around, it’s definitely on my bucket list to visit! 7.) 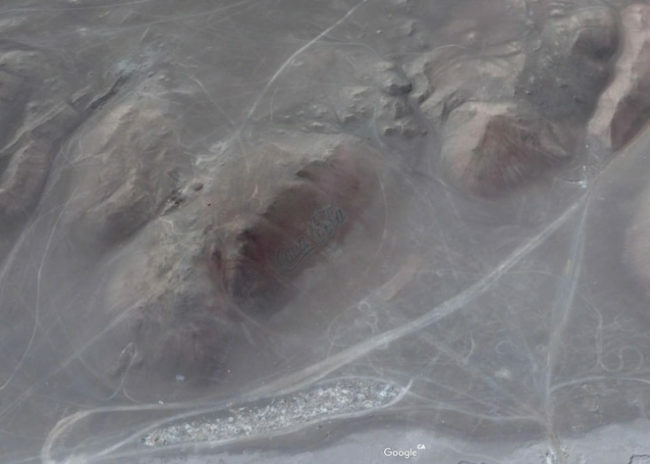 A hidden bunker in New Mexico? 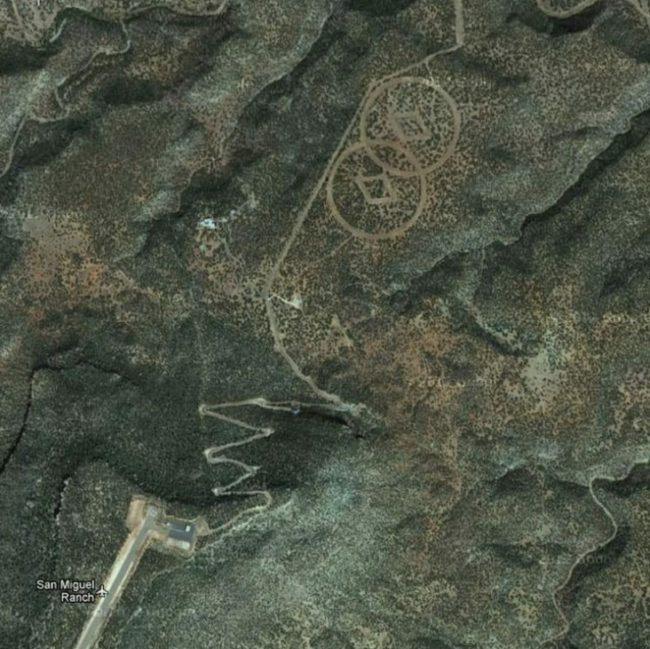 This one is a bit of a conspiracy theory but APPARENTLY, this is the alien space cathedral of the Church of Scientology. That doesn’t seem far fetched at all, completely plausible. This one is pretty disturbing. Davie Lee Niles went missing in 2006 with few leads on his whereabouts. 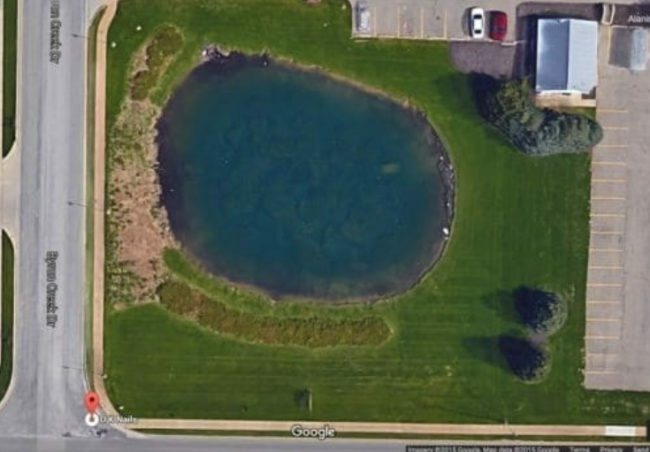 Somebody then noticed a blurred image in the top right-hand corner of this lake. It ended up being his car which was never noticed at ground-level. 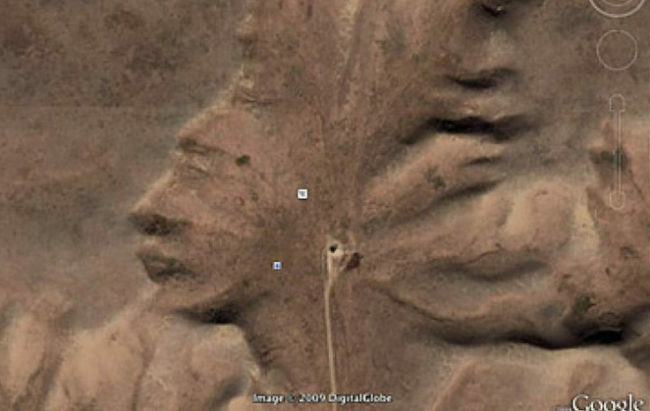 This creepy looking face was NOT created by human intervention. It actually formed naturally through the process of erosion. This makes it 10x creepier and I don’t like it. 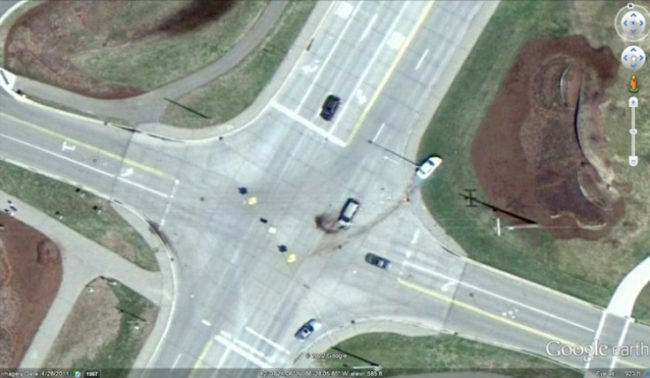 I have no idea what’s going on here…Google Earth can capture some amazing things but it can also capture the strangest things. 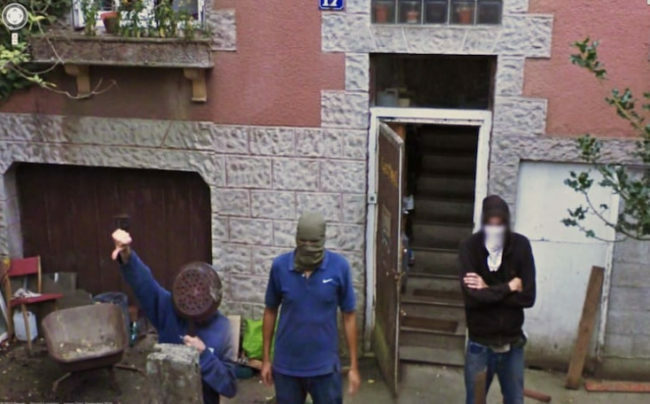 I would not want to run into these guys late at night…the guy with the weird pan over his face is the strangest. 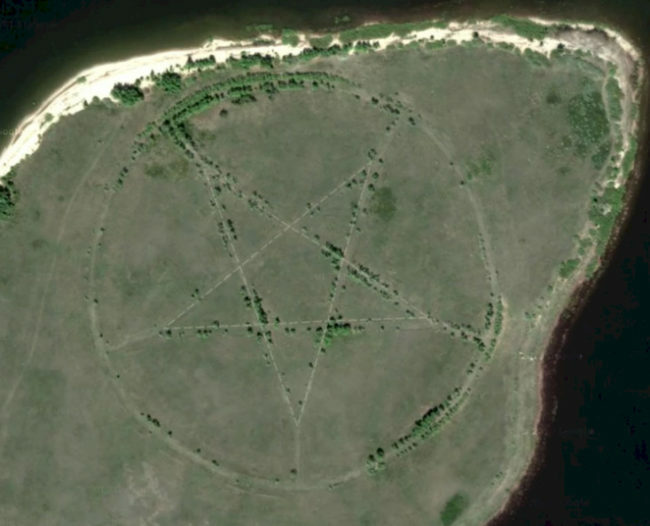 Not everything Google Earth captures is pleasant. 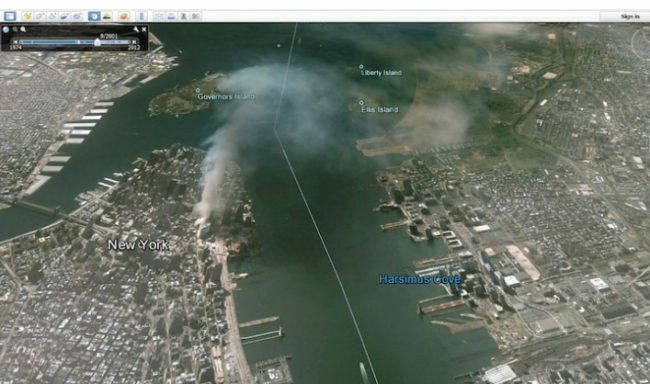 This is incredibly harrowing to see the huge clouds of smoke still being released into the sky immediately after 9/11. Let’s just hope nothing like this ever happens again. This is located off the coast of Antarctica’s Deception Island (now, that’s a shady name if you ask me) and no one has any idea what this is. 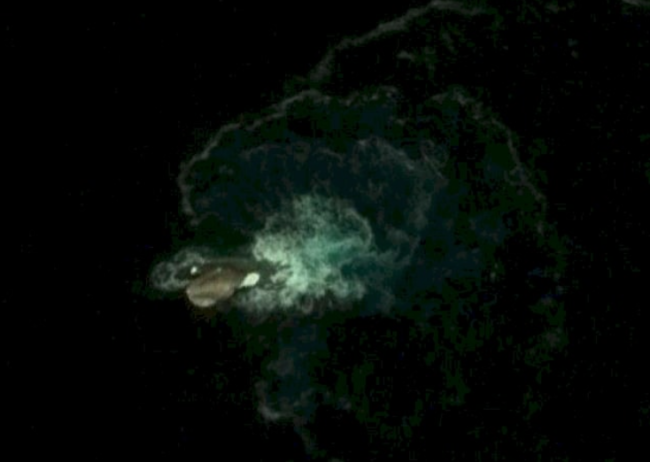 Yes, it’s probably just a blue whale but it’s far more exciting to think that it’s the Loch Ness Monster of underwater UFOs, don’t you agree? 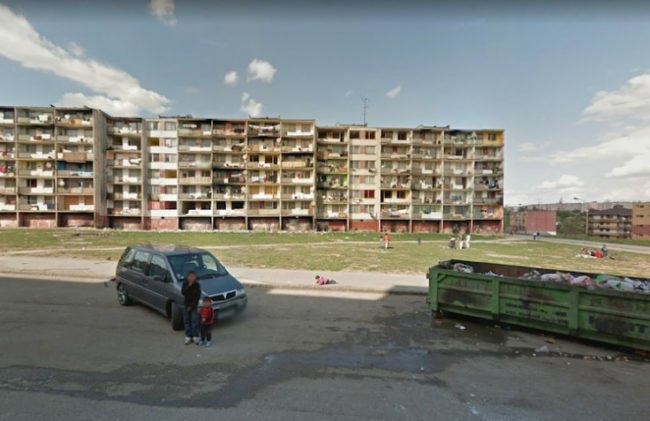 This is a famous ghetto with minimal access to basic amenities. It’s heartbreaking to see a little child on the floor with no parent in sight. It can be quite shocking to see that places like this exist, makes us feel very lucky to have what we have, measures need to be taken to help people living in places like this. There are some places where you would just never feel safe walking or driving through, this is definitely one of them. 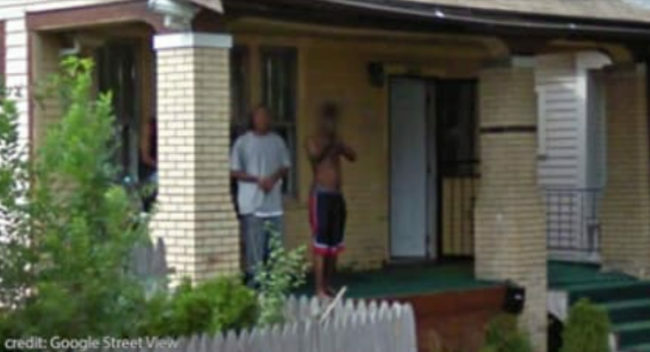 I mean, these guys are standing on a porch and pointing guns at the poor innocent Google Earth guy just doing his job, I wonder how they treat other people?! This house has a very unpleasant history. A baby was sadly found dead in a closet here with no confirmed cause of death, its incredibly upsetting and disturbing. This picture shows just how powerful jet engines are, they have destroyed all the grass that is behind them! Yeah, you might not want to annoy Mother Nature, or she WILL retaliate! 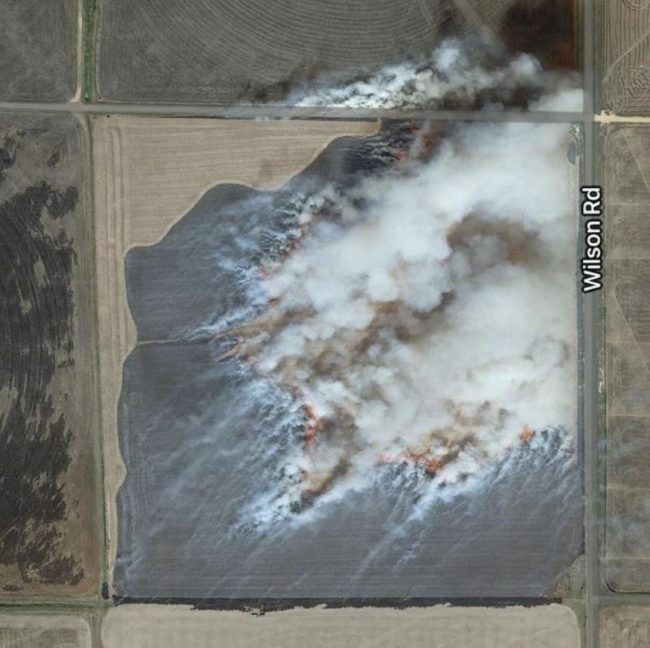 This fire in Arkansas quickly spread across a large field, thankfully, people were warned in time. This disturbing sculpture has a very strange backstory. It was created by a Scottish gangster and convicted murderer, Jimmy Boyle. He actually designed it while in prison. 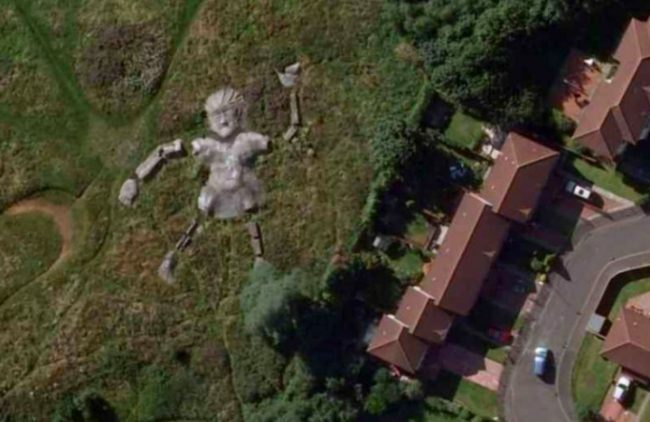 This creepy 100f-foot-tall sculpture is located in Hunters Hall Park in Craigmillar, Scotland. This one is very sad to see. 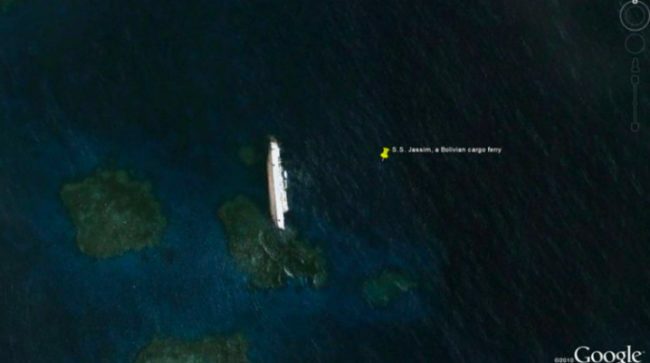 S.S. Jassim met its demise when it sunk off the coast of Sudan in December 2003. Very disturbing to see that this was captured. 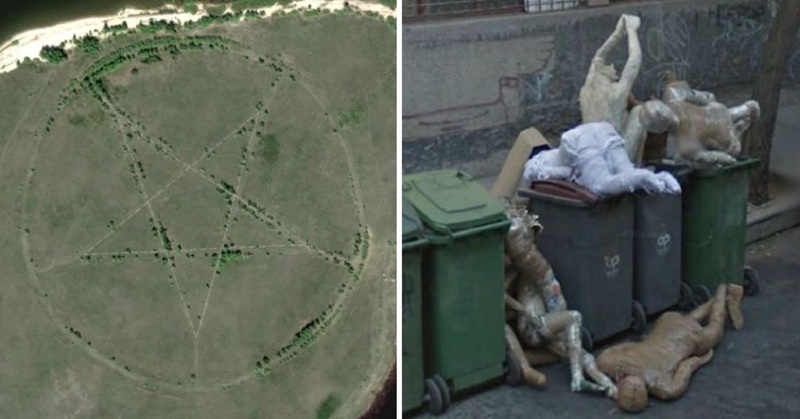 Google Earth captures beautiful and incredible things but it’s very humbling to see some of the weird, disturbing and sad things that happen around the world every single day. We should count ourselves lucky to live where we do.